It's time to change your fave phrase, 'Winter Is Coming' to 'Winter Is Here'. The season of cold winds has long arrived, and as always, it came with a dependency on hot brews and the inability to get out of blanket(s). But there is also something else that you can't escape on a chilly winter day- layers. Now, you might say that layering has been done-to-death, so you would rather just slide inside a parka and be done with it, but as our B-Town celebs have been graciously demonstrating, you can do SO MUCH with layers! Case in point: Sonam Kapoor Ahuja and Aditi Rao Hydari's very distinct, and very dissimilar looks. Keep scrolling for a lesson in the art of layering! If you thought you had run out of ideas, we urge you to take into account Sonam Kapoor Ahuja's oh-so-chic yet oh-so-comfy look. Dressed in monochrome bundles, the actress hit the right note when it comes to styling layers. With no doubt a few layers underneath, Sonam donned a pale pink overcoat and paired it with a stole/scarf of the same tone. An overcoat of choice and a carelessly wrapped around scarf (we are all guilty of it) could be your saviours too this winter. Style your look with denim, trousers, or even a dress below to beat the chill. Poles apart from Sonam's OOTD is Aditi Rao Hydari's stylish ensemble which was a lesson in minimal layering done right. Styled by Sanam Ratansi, the actress wore ripped jeans from Topshop with a plain white crop top and layered it with a black blazer dress from MadGlam. Black boots by PAIO and a neckpiece by Azotiique completed her look on the accessories front. 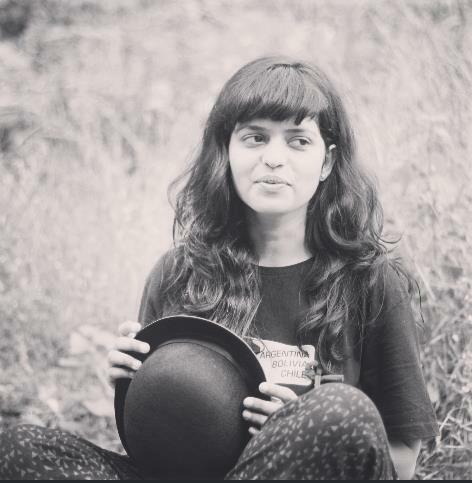 If you are one to go for a sleek and fuss-free look, this is it. 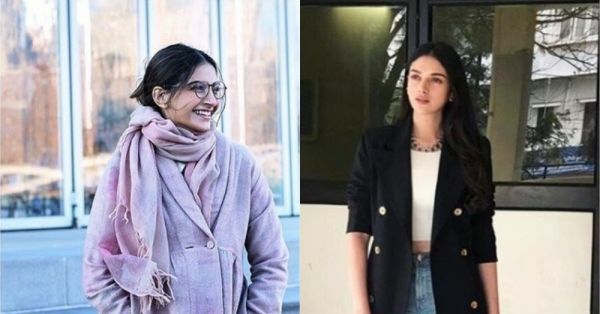 Like Bollywood's fashionista Sonam Kapoor Ahuja put it out on Instagram, "I love winter for cold noses, cozy sweaters, hot chocolate and cuddles!" We couldn't agree more!